Cale started to plan a surprise burrito party for our ninth wedding anniversary pretty far in advance. Earlier in the week he went to Kakamega on his own under the pretense of looking for cream cheese. If he had found it, we were going to make bagels. When he returned he said he had completely forgotten about the cream cheese. However, he had secretly been shopping for the makings of burritos. Cale and Ann cooked mexican foods all day on Wednesday. There was one point there they thought their cover was blown when I came home unexpectedly during the day. However, I simply went into the bedroom, grabbed up something I had forgotten, and turned around and left again. Never aware tortillas were being made nearby. We all gathered around the dinner table, like normal, and as each successive dish came out a collective cry of join would be raised. CHIPS! SALSA! BEANS! We were all giddy with joy. I also got a brief taste of my own selfishness. 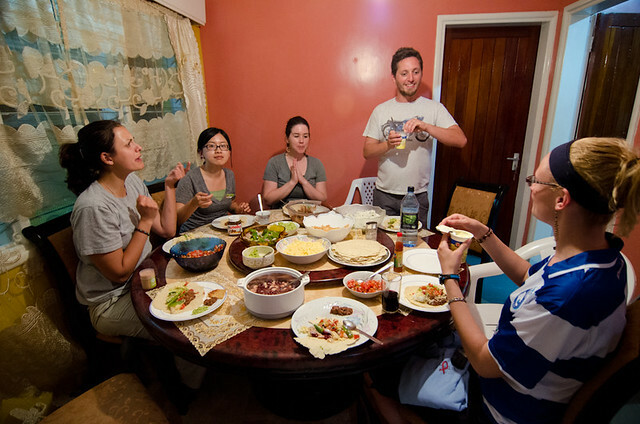 Just as we started to eat the burritos, Lauren took a call from the group over at the guesthouse. Nolan was coming over. Well that was fine. But then, I heard her say, "We? What do you mean, we? How many of you are coming over?" I started to panic. No! There are not enough burritos to go around! Tell them to wait. I must have my burrito fill! However, Cale had been planning for this all along too. He had told everyone about the surprise burrito party and there was more burrito fixings in the kitchen. Hooray! 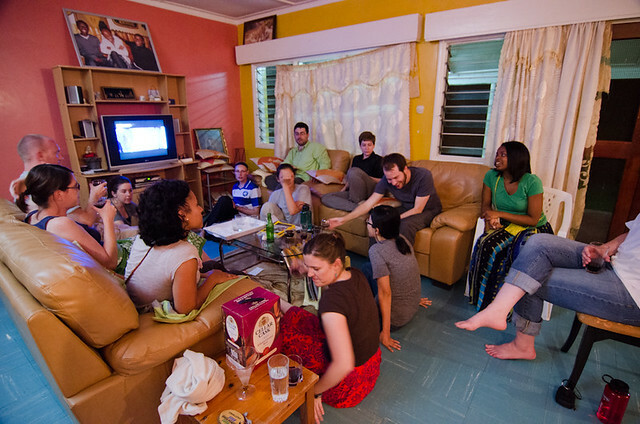 Our host, Pam, supplied the wine and we all ate burritos and drank wine while an MTV station played African pop music in the background. It was quite the successful, anniversary eve. The next day we took off for Mbita (which I will fill you in on soon). 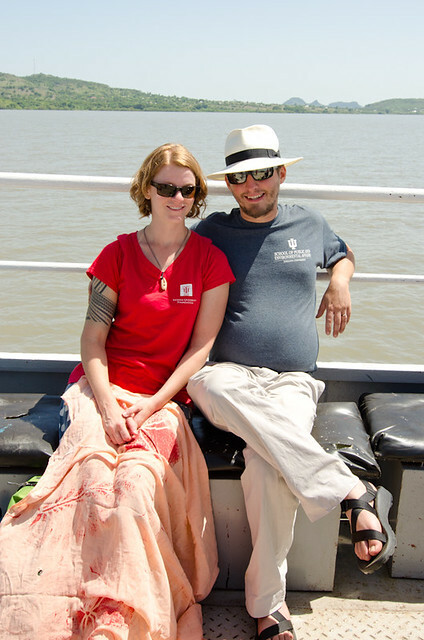 We enjoyed our actual anniversary on a ferry and later on the shores of Lake Victoria. P.S. Once, while we were in Samoa, we ordered something of a menu from a restaurant that caters to palangi. It was supposed to be burritos or tacos or something. The details fail me now. Anyway, the menu said it came with sour cream, which we were particularly excited about. However, on closer inspection, the "sour cream" was clearly whipped butter. At the time, we chalked it up to the common phenomena of things that look close to what they claim to be (probably based on a picture someone saw on TV), but are not in fact that thing. Recently, I have had to question that perception. Cale purchased containers at the Nakumatt for the burrito party that said "sour cream" on the outside. However, when we opened them, we discovered whipped butter. It is possible that the US definition of sour cream and other places in the world definition of sour cream are not the same. The picture at the top is just before we discovered it wasn't sour cream. Interesting. In Georgia sour cream is pretty much the exact same thing as in the US and you can buy it from local producers for a normal price.